Mobile Express Pick Up is the new service that allows you to pre-order your food and drinks at select Universal Orlando Resort quick service restaurants using the their official app on your mobile device. This means you can skip the line and just pick up your order from the window. All of the following locations now offer Mobile Express Pick Up. We will update this list as more restaurants are added. If you are inside of Universal Studios Florida or Islands of Adventure you can open the official Universal Orlando app and select “Order Food and Drinks” option from the main menu. Add items to your cart and follow the simple steps below. 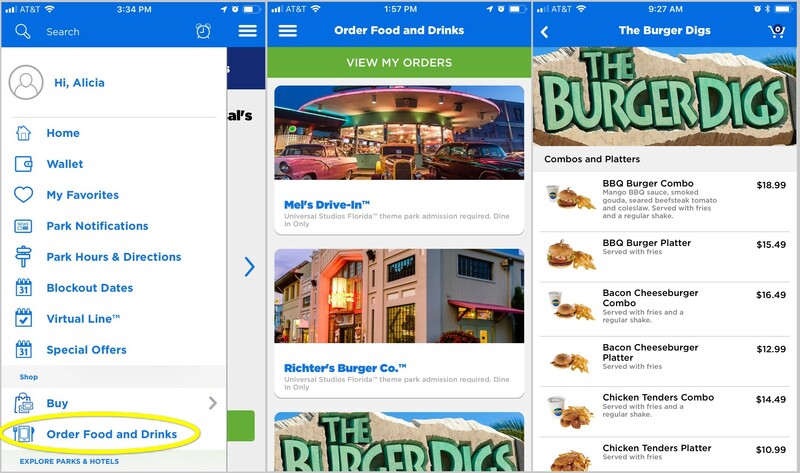 Note: Users must have an account and their “Wallet” set up with payment information before ordering food, accessible through the app’s main menu. 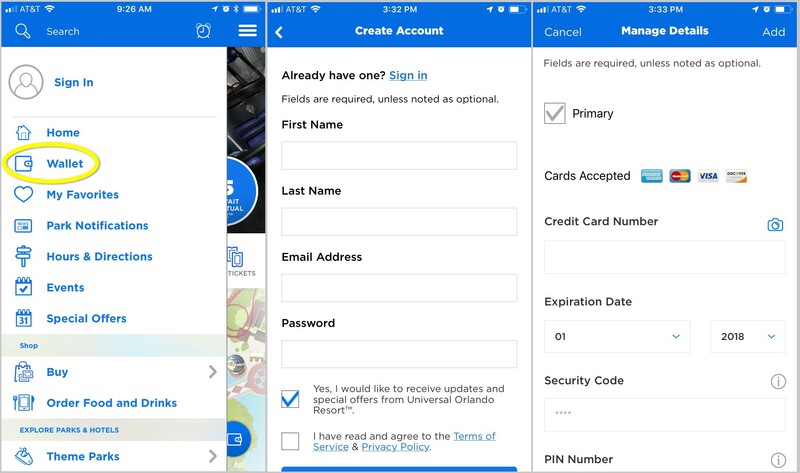 Open the official Universal Orlando Resort app, (available for iPhone or Android,) and select the slide-out main menu icon on top left. Select the Wallet option. If you have an account you may be prompted to log in, but if you do not, you can create your account from this screen. Then add a credit card you would like to use for Mobile Express Pick Up orders. Select “Order Food and Drinks” option from the main menu in the app while logged in. Select a restaurant from the list that you would like to place an order from. Make sure you are inside of the park where the restaurant is located before starting your order. Browse the menu and add desired items to your order. You can specify sides and beverages and some items on the menu allow for customizations. Go to the Checkout page, confirm your order and tap Submit. 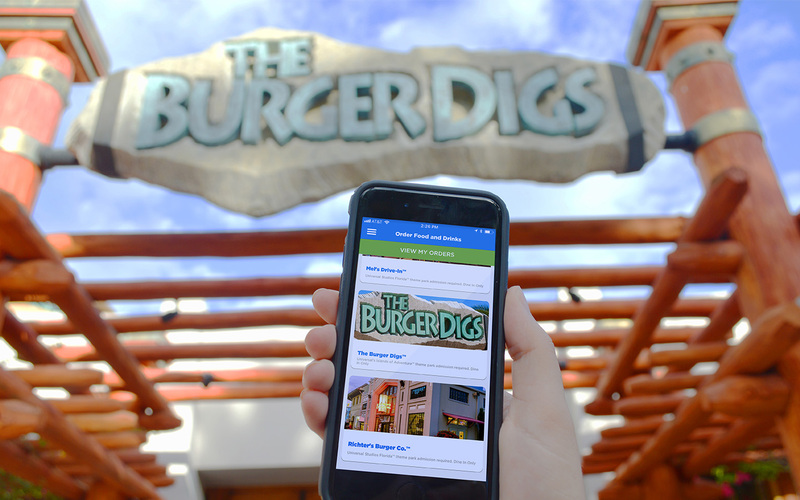 After you place your order in the App, you don’t have to go the dining location right away. The venue will not make your food until you tap the “Prepare My Order” button in the app. Here are some helpful tips and common questions about the Mobile Express Pick Up system. If your question isn’t answered here, leave a comment below and we’ll do our best to try and find you an answer. Do I have to be on property to place my Mobile Express order? Yes. 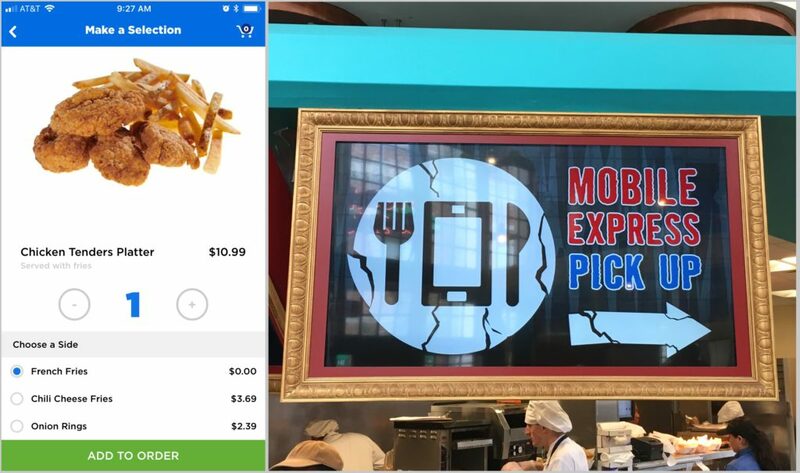 The app uses your mobile device’s GPS to detect your location and you can only add items to the cart and checkout while inside one of the theme parks. 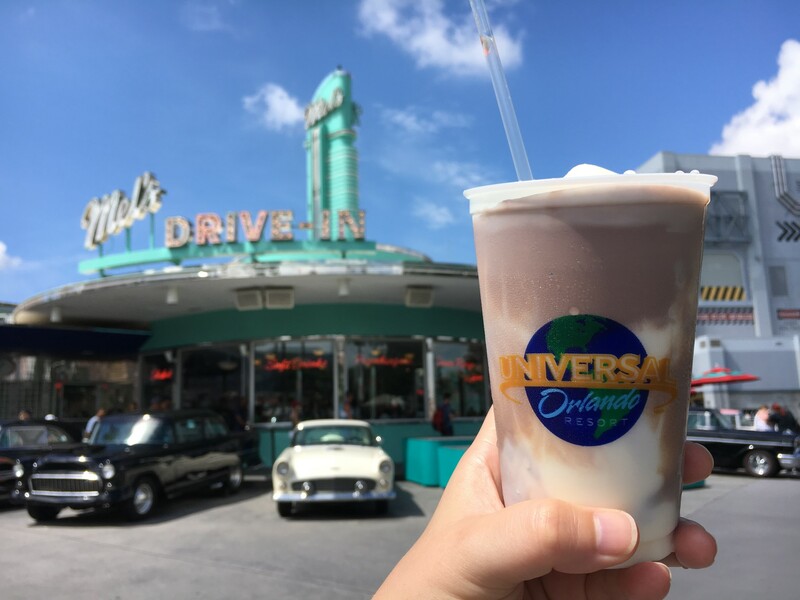 Can I pay using Universal Dining Plan? No. Currently only credit cards added to your account’s Wallet can be used for this service. Other methods of payment may be added as the service is expanded. No. You must order in person at the restaurant to use gift cards or vouchers. No. You must order in person at the restaurant to receive any discount available to you. When can I order food? Your order can be placed during regular operating hours for that dining location. How long will it take to make my food after submitting my order? Once you select “Prepare My Order” from the app you can see the current status of your order on screen. It will take as long as it would had you ordered from the register at the moment you tap “Prepare My Order,” which may only be a couple minutes. As long as you have not yet selected the “Prepare My Order” button you can cancel your order. You will not be charged until you select “Prepare My Order” from the app. This completes your order and your food will be prepared. 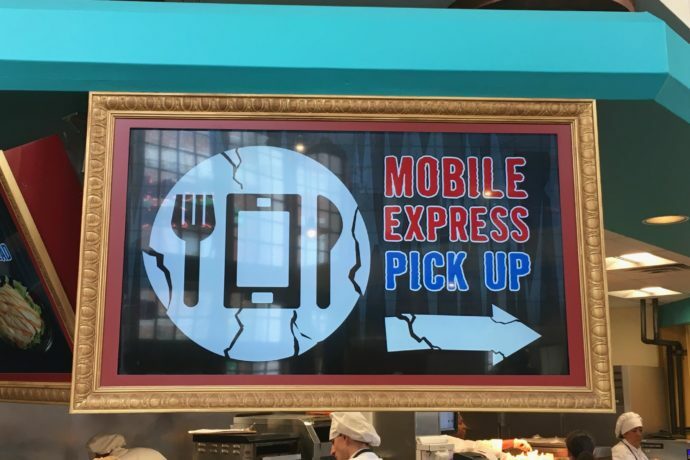 Can special dietary requests be made through Mobile Express? Some items such as gluten-free buns for burgers and sandwiches can be substituted when customizing your order before adding an item to your cart. Other special requests regarding allergies must be placed in person at the restaurant.